​Chelsea striker Alvaro Morata has reportedly reached agreements with both Sevilla and Atletico Madrid as he nears a possible January exit from Stamford Bridge, although the club is seemingly insistent on sourcing a replacement before letting the Spaniard go. Morata has repeatedly been linked with an exit in recent weeks, while Chelsea manager Maurizio Sarri recently declared his eagerness for the club to sign a striker. Speaking to BBC Sport, La Liga expert Guillem Balague has explained that Morata's agent has been in Spain speaking to clubs about his client's future. That apparently first yielded an agreement with Sevilla, and then also with Atletico Madrid after meeting with Diego Simeone. Simeone himself has remained coy on the links between his club and Morata. "I can't confirm or deny anything because coaches wait to see what the club can do. Some players want more minutes, some could be sold by the club, some could arrive. We need to wait until January 31," he is quoted as saying by the Daily Mail. 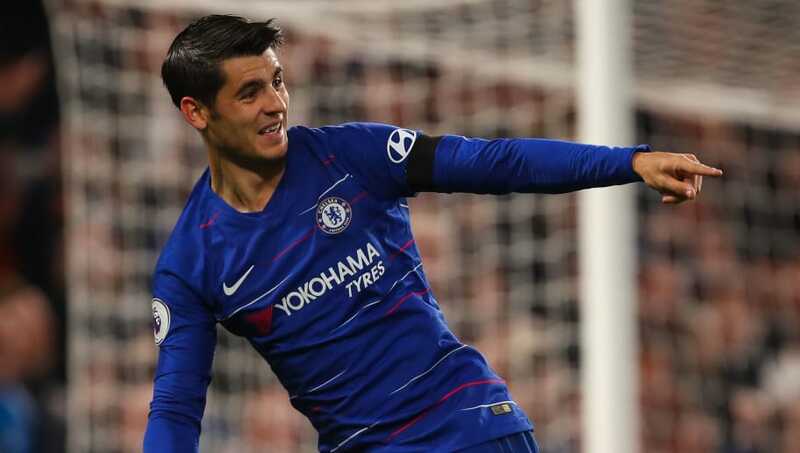 The problem for Morata, who has struggled to justify his £60m price tag ever since moving to Chelsea from Real Madrid in 2017, is that the Blues are not likely to sanction his exit until they can find a suitable replacement so as not to leave themselves short. Chelsea had originally been heavily linked with Gonzalo Higuain, but the complicated nature of any such deal given that the player is on loan at AC Milan from Juventus looks to be a problem. Therefore, according to Sky Sports, the club is starting to give more consideration to Callum Wilson, a player who has scored nine Premier League goals this season and made his England debut. And while Sarri is apparently still 'determined' to sign Higuain, Chelsea director Marina Granovskaia is said to be 'unconvinced' that the 31-year-old Argentine is the answer to the problem. If a deal for Higuain cannot be reached, it is said that Sarri will turn to Wilson instead. Chelsea are said to be willing to pay up to £50m for the Bournemouth star, although Balague claims that the Cherries would only accept a 'mad, mad, mad offer' of an estimated £70m. Failure to secure a deal for both Higuain and Wilson would almost certainly put the brakes on Morata leaving the club before the end of the month.